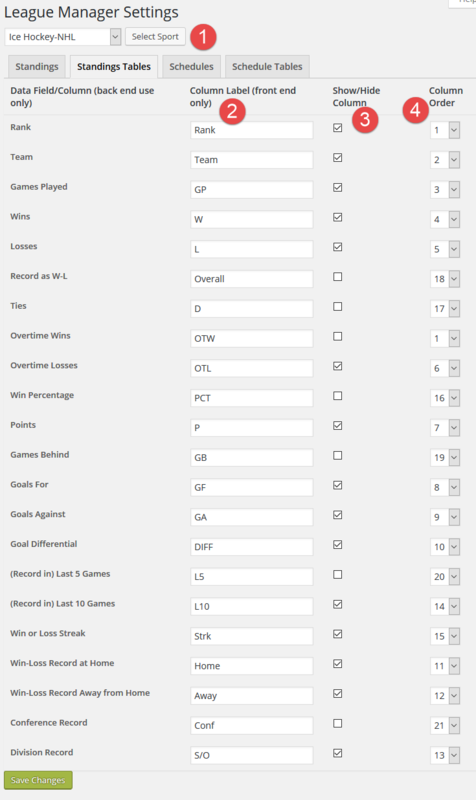 The Settings Standings Tables tab provides layout options for the standings tables [shortcode]. The primary data fields and functions are described below, and annotated on the following screenshot. Column Label. Change the column labels. For example, “Points”, “P”, or “Pts”.